Rio has now been widely recognised and positioned (see here, here and here) as the technology hub of Brazil and the gateway to Latin America. This is in addition to its popularity as a tourist destination. 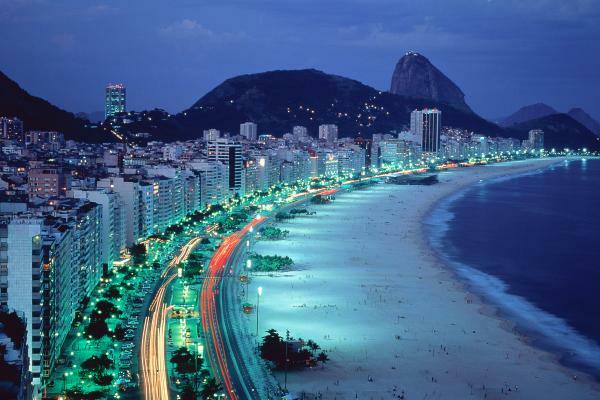 When tourism is combined with business, who wouldn’t want to set up near the white sandy beaches of the Copacabana? Apart from the sandy beaches, Brazilian representatives were keen to point out, at the discussions, that Rio as a city, has much more to offer. There is a growing talent pool, as it produces more engineers and IT professionals than any other city in Brazil; and the students are increasingly entrepreneurial - 65% of them have plan to run their own businesses. The city also has an established accelerator and incubator scene to support growing businesses. As a market, Brazil has a growing middle class amongst a population of approximately 195 million people. It has the largest online population in South America with 85 million internet users spending upwards of $2.5 billion via e-commerce in 2011 (see here and here). BRASSCOM, an association which represents ICT businesses, has also played its part in leveraging the interests of its members and generally, that of Brazil as place where technology can flourish. Brazil is certainly on a promising path - despite challenges such as currency risks and a nascent venture capital industry. Nevertheless, these challenges do not adversely affect Rio's current position as the tech-hub of Latin America. Wesley Chapel football is very good for player because this is football so very nice and very helpful so that can be play very smoothly but must be aware in this model . I am really enjoying reading your well written articles. http://essay-writings-services.com/I think you spend numerous effort and time updating your site. I have bookmarked it and I am taking a look ahead to reading new articles. This is significant because it telling that the authors are aware of existing studies, and are scheduling to contribute to this existing body of research in a correct way. Monetary crises come in all shapes and frames and if your character gets stolen, the issues increment exponentially. It's never again pretty much a credit check, yet solidified or crossed out records and loads more strain. the issues increment exponentially. It's never again pretty much a credit check, yet solidified.